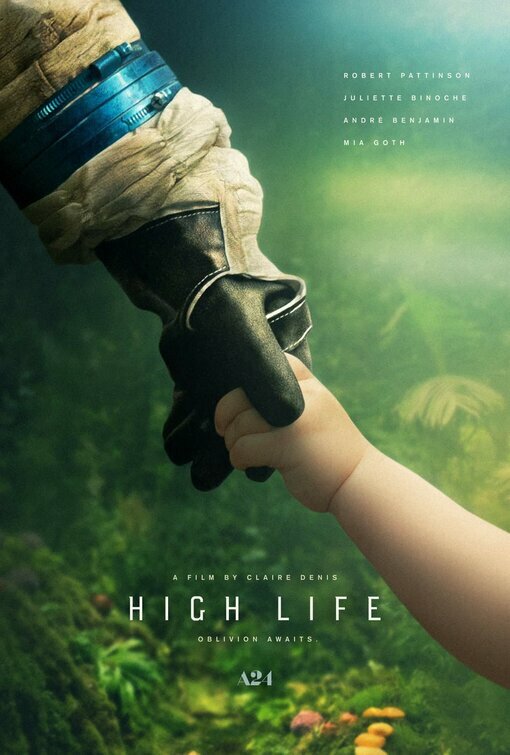 In the sci-fi thriller from director Claire Denis, High Life, a group of criminals are tricked into embarking on an outer space mission to discover alternate energy sources, while in fact they are being experimented on by the scientists on board the craft. 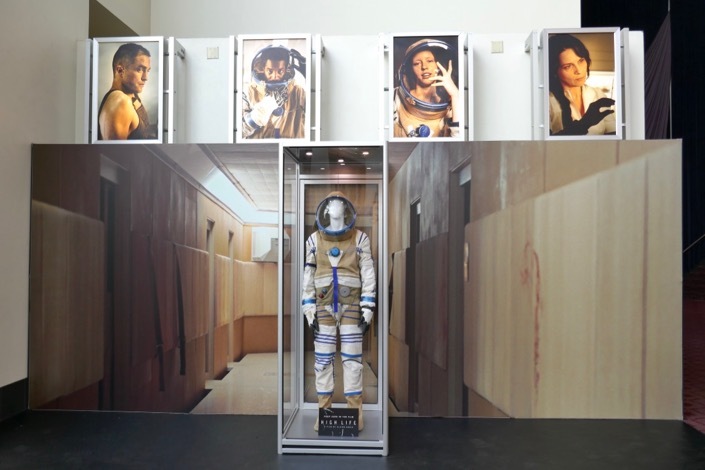 The futuristic film stars Robert Pattinson, Juliette Binoche, Mia Goth and André Benjamin. 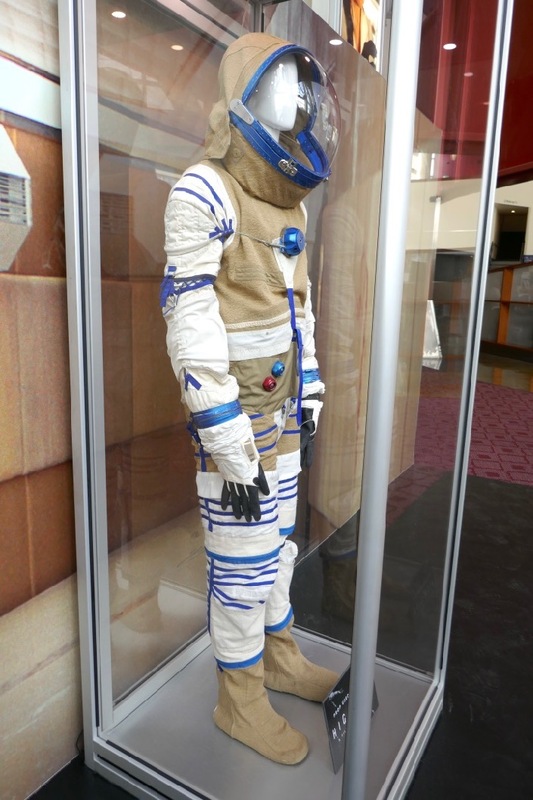 This cool spacesuit from the movie was designed by Judy Shrewsbury and was photographed on display in the foyer of ArcLight Hollywood cinema on March 26, 2019. 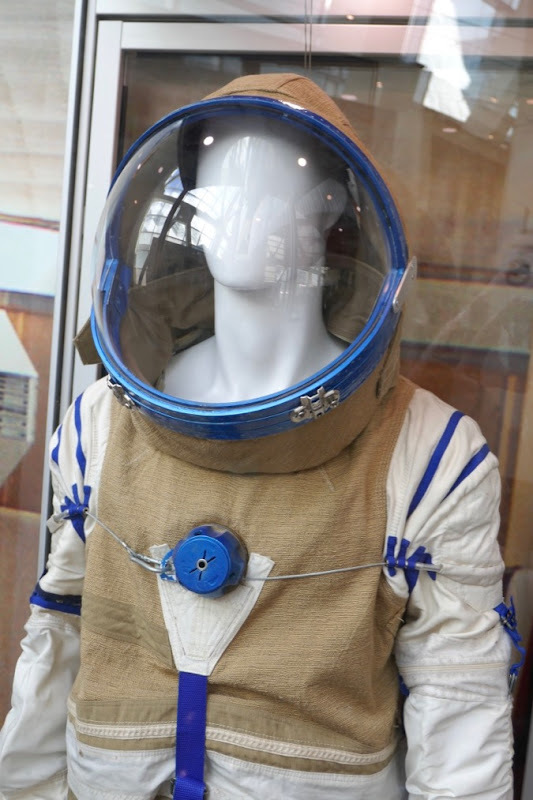 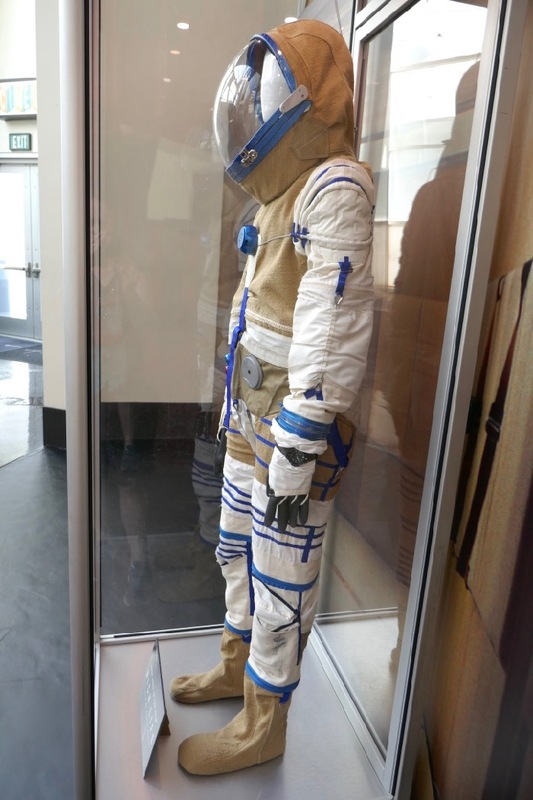 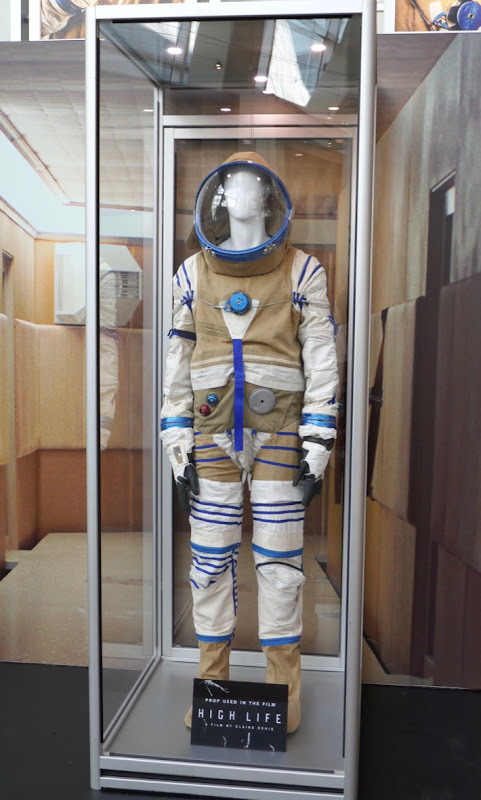 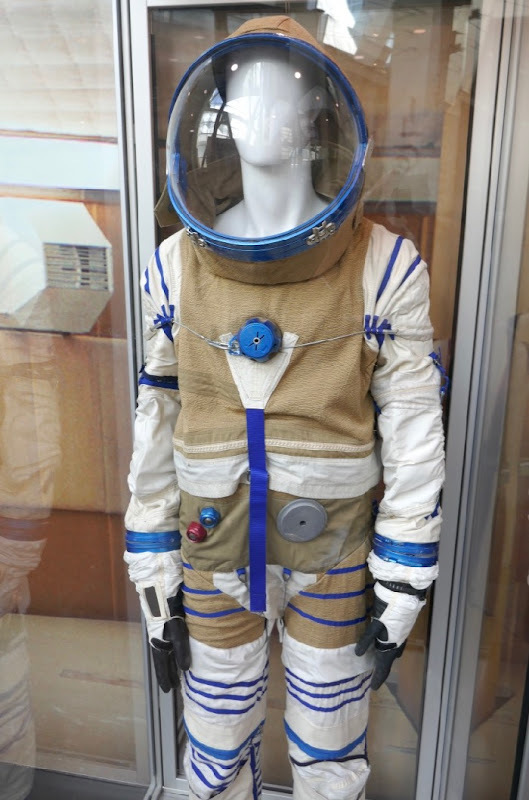 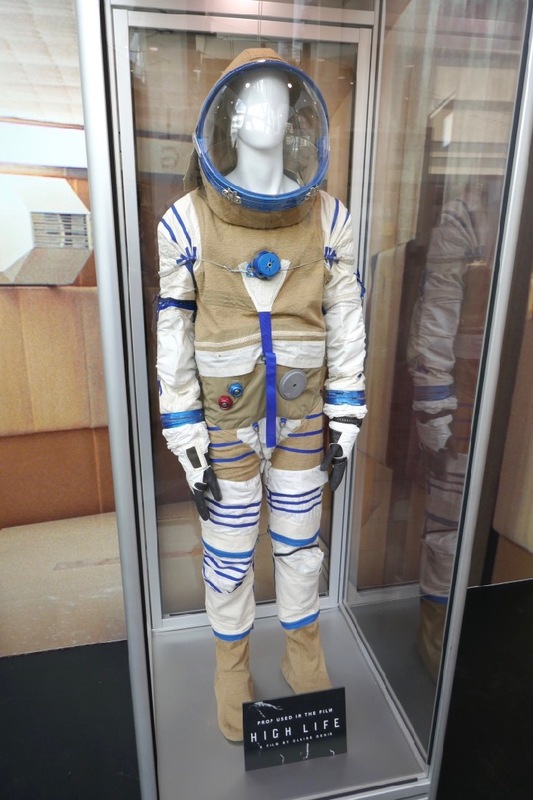 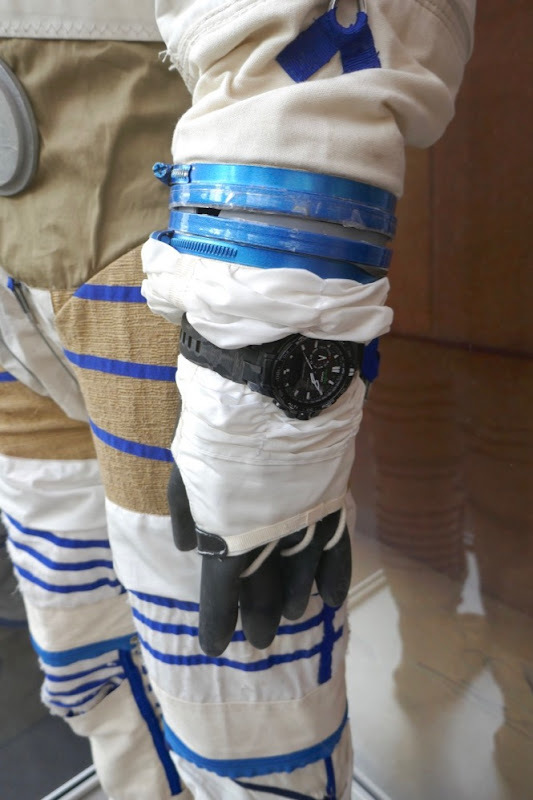 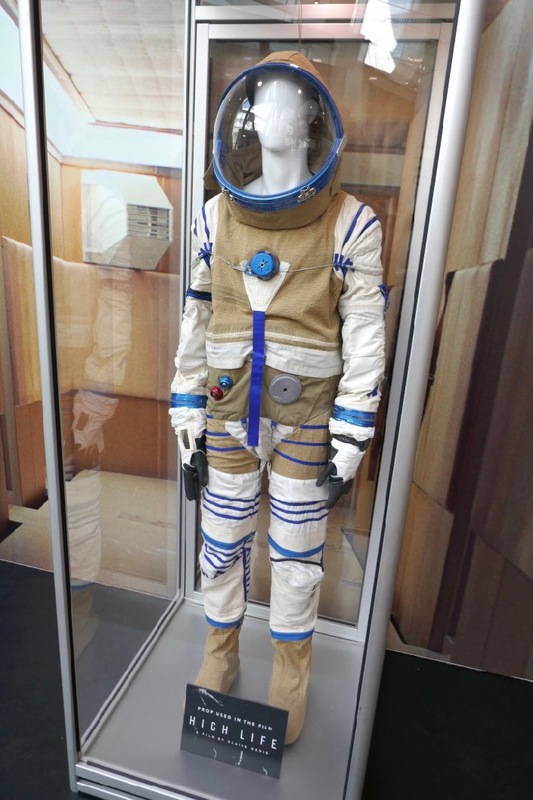 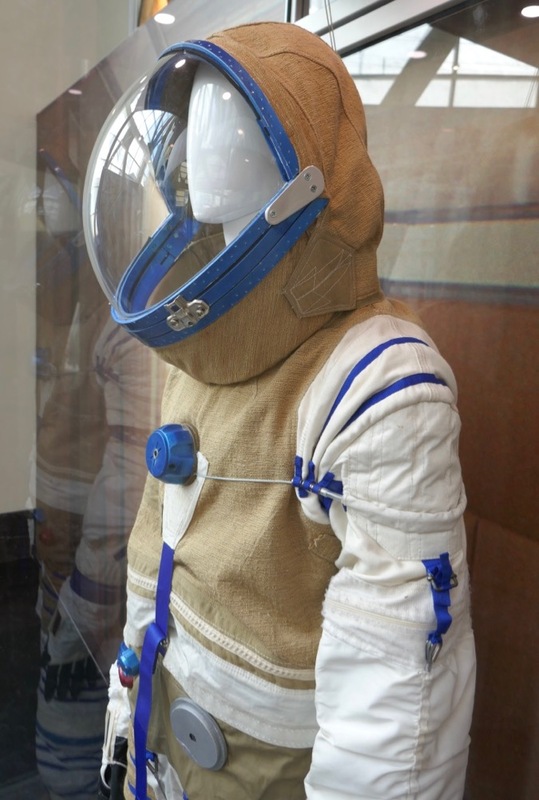 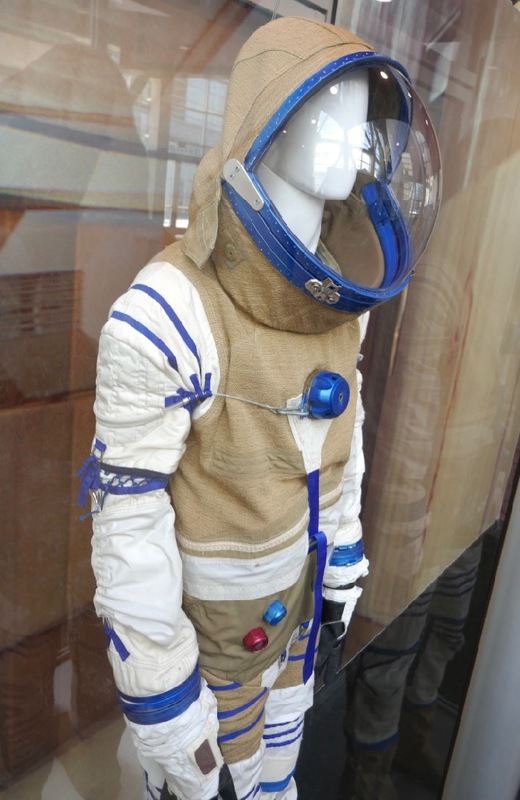 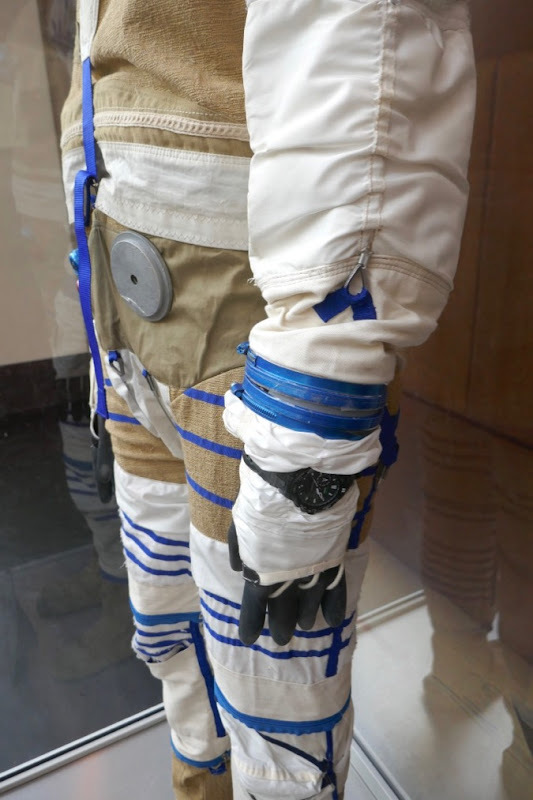 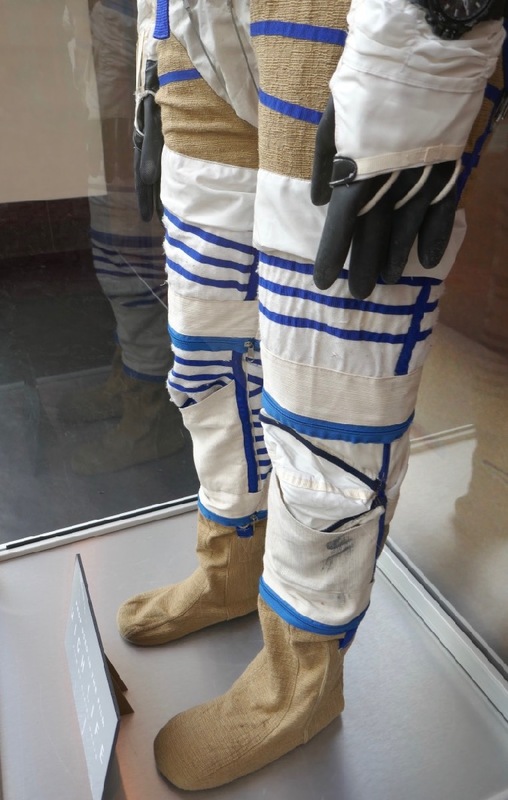 If you like this out-of-this-world costume, be sure to also check out these NASA astronaut spacesuits from First Man worn by Ryan Gosling, Matt Damon's spacesuit from The Martian, these astronaut suits from Gravity worn by Sandra Bullock and George Clooney, this NASA spacesuit from Interstellar worn by Anne Hathaway and this spacesuit from a 2001: A Space Odyssey on display.